So glad I get to introduce you to this parent – an adopted person, an adoptive parent, a male! We often hear from the adoptive mom, yet it’s just as important to hear from adoptive dads. They have so much to offer us, too. This story will give you more insight into not only the (adult) adopted person story, but also what he carries inside (similar to what so many non-adoptive parents carry) AND offers his children who have come from a “hard place,” because he deeply knows what it means to react and respond and nurture those deep, hard places. 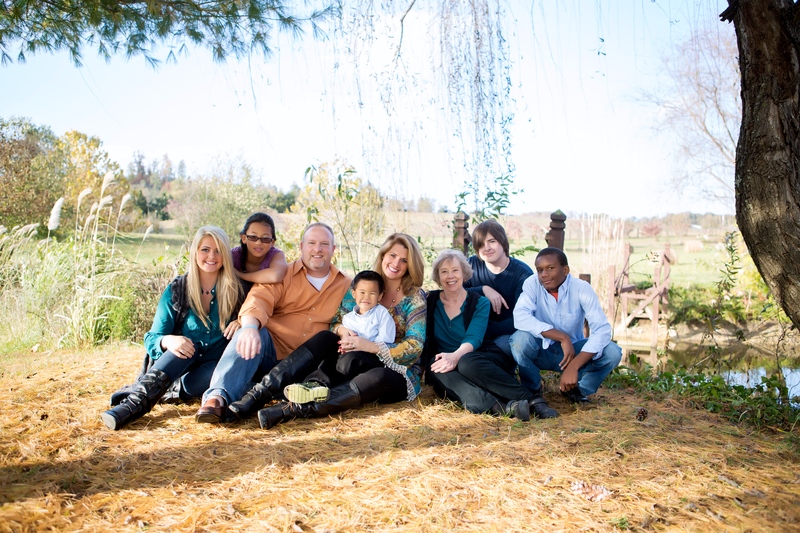 My wife, Jennifer and I love being a part of an adoption group in our church. For me, being an adoptee and for Jen and I being adoptive parents, it is great being with other couples who have walked the road we are walking. During one of our group times we watched a video featuring a speaker who was addressing the hurt and brokenness caused by the rejection wound that adoptees have. That particular speaker gave voice to the wound of rejection that every adoptee feels. The group knows that I was adopted, and at the conclusion of the video the group leader asked me if that rejection wound was evident in my life. My response – it permeates everything. While I may not be able to adequately describe the rejection wound, like the speaker on the video, I certainly can speak to its reality in my life. This wound has affected every area of my life. It has had an impact on every relationship I have ever had, and most likely ever will have. It’s worked this way for me. First, it has driven me to be an overachiever. It was driven me to attempt to be perfect. Because if I achieve, if I am perfect, then I will not be rejected. I had a friend through high school and college who once said about me, “everyone loves you.” There was a reason for that. My rejection wound drove me to be loved and accepted by everyone, so as a defense mechanism I learned how to be fun, witty and charming. I developed confidence in my social skills and as a result, everyone loved me. The only problem with this strategy is that no one is perfect. Neither was I, but I couldn’t let anyone know it. So I was really good at giving the appearance of being everybody’s all American. Living that kind of lifestyle is exceedingly difficult and tiresome. Not to mention manipulative. The next way the rejection wound has affected me is in how I keep everyone at an emotional arms length. The rejection wound builds tall thick walls around the heart. If you are at arms length that means that you are not close enough to cause me pain. Unfortunately that also means that you are never close enough to offer comfort and acceptance. To this day I have lots of friends, but I’ve only let a very few into my heart. And honestly, I’ve been far to guarded with them. Isn’t that an interesting dilemma? The rejection wound drives you to be loved and accepted by everyone, but when they do love and accept you – your response is to deflect and temper their love and acceptance. That’s not a very fun way to live. Over the last several years God has been leading me on a journey of self discovery. My rejection wound has been exposed to the light of Jesus. Painfully so – I might add. But now that it is in the light, it is something that I can deal with, and Jesus can heal it. This has been and continues to be a difficult road to follow. It’s painful. It requires that you trade in an old identity for a new one. It brings radical life upheaval and change. But with each step it also brings freedom. With freedom comes the opportunity to truly connect. Connection is what I truly need and it is what I truly need to give. Only connection with God can heal the rejection wound, make you whole and give you peace. P.S. – The speaker on the video was Carissa. I am so thankful for her voice. We truly do need each other. For more than two and a half decades Heath Pressley was a church planting pastor, leading communicator, and ministry consultant. Through humor and powerful story telling that pointed people to Jesus, Heath helped thousands of people experience life transformation. His expertise has helped numerous organizations develop missional strategy and experience dramatic growth. In 2013 God moved Heath out of pastoral ministry and into orphan advocacy. Later that year, Heath became the President of Pathways For Little Feet, a Christ-centered organization that is working towards a world where every child is a permanent member of a loving family. Pathways for Little Feet encourages adoption through education, advocacy and financial assistance. Heath lives in Katy, TX with his beautiful wife, Jennifer, their five children, Josh, Mariah, Gracie, Javonte, Jack and his Mom, Donna. You can find him here on his blog.